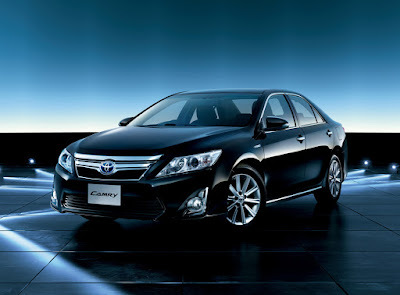 Toyota has officially revealed the new Camry in Japan and there are no surprises since photos of it had already been leaked (earlier post). All versions to be sold in Japan will come with the hybrid powertrain, which uses a 2.5-liter Atkinson-cycle engine (2AR-FXE) with a combined max. output of 205 PS. The hybrid techlogy, along with the very low drag coefficient of 0.28, enable the new Camry to achieve a fuel economy of 26.5 km/L under the 10.15 cycle. You can read the full press release (Japanese text) here.